Chanteur Country US né John Wayne Conlee, le 11 Août 1946 à Versailles (Kentucky). 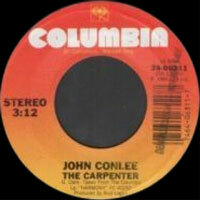 One of the most respected Vocalsists to emerge during the urban cowboy era, John Conlee was known for his superb taste in material and his distinctively melancholy voice. 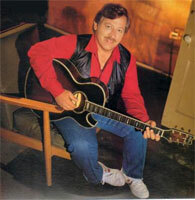 Conlee was born and raised on a tobacco farm in Versailles, KY, in 1946, and took up the guitar as a child, performing on local radio at age ten. He went on to sing with the town barbershop chorus, but didn't initially pursue music as a career, instead becoming a licensed mortician. He also worked as a disc jockey at numerous area radio stations, and made important industry connections via that area when he moved to Nashville in 1971. 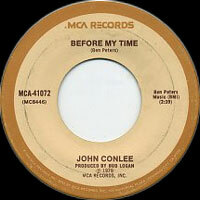 Five years later, Conlee's demo tape got him a contract with ABC. 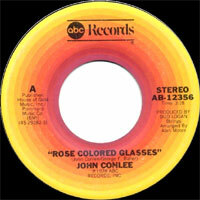 He released a few singles, but didn't find acceptance until 1978's "Rose Colored Glasses," a song he'd co-written with a newsman at his radio station, rocketed into the country Top Five. 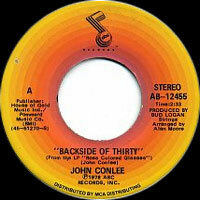 Conlee spent the next decade or so scoring hit after hit, nearly all of them helmed by producer Bud Logan. He had two number ones in 1979 alone -- "Lady Lay Down" and "Backside of Thirty" -- and four number two hits through 1981, which included "Before My Time," "Friday Night Blues," "She Can't Say That Anymore," and "Miss Emily's Picture." 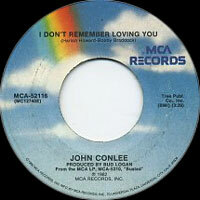 Conlee returned to the top of the charts three times over 1983-1984 with "Common Man," "I'm Only in It for the Love," and "In My Eyes," and had his last number one in 1986 with "Got My Heart Set on You." 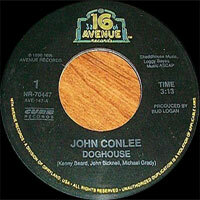 All told, Conlee made the Top Ten 19 times through 1987, when he moved from MCA to Columbia and reached the Top Five with "Domestic Life." Never much for touring, Conlee subsequently curtailed his recording activities as well, instead devoting his time to charity work (often on behalf of American farmers), raising his family, and running his own farm outside Nashville. 11/2003 CD RCR / CBUJ 1102 (US) CLASSICS - Rose Colored Glasses / Lady Lay Down / Backside Of Thirty / Before My Time / Baby You're Something / Friday Night Rules / She Can't Say That Anymore / What I Had With You / Miss Emily's Picture / Busted / I Don't Remember Loving You / Common Man / I'm Only in It For The Love / In My Eyes / As Long As I'm Rockin' With You / Way Back / Years After You / Blue Highway / Old School / From Your Knees / She's Mine / How High Did You Go?